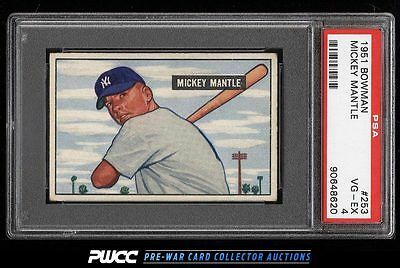 Among the most important rookie cards in all of collecting and an immensely popular in such attractive condition. The color and focus are attractive for the grade. Even corner wear along with a back runner mark and a subtle corner crease account for the grade. One of nearly 17,000 cards, lots, and sets up for bid in our 8th Auction of 2016. Click on the link above to view the other PWCC auction lots.